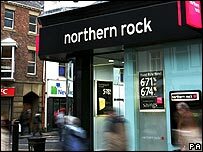 Northern Rock is inching closer to being nationalised. The Treasury has recruited the former boss of Lloyd's insurance market, Ron Sandler, to lead Northern Rock, should the troubled bank be nationalised. A decision could be taken within days, says BBC business editor Robert Peston. Mr Sandler is widely regarded as having restored confidence in Lloyd's after its years in financial disarray. The former boss of Lloyd's of London is well known to Prime Minister Gordon Brown, and worked for the Treasury in developing the so-called stakeholder pension and investment products that were intended to help those on lower incomes save for retirement. 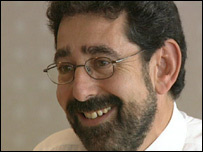 John McFall, Labour MP and chairman of the Treasury select committee, said Mr Sandler was "someone of the highest reputation". "He has form in that he was parachuted into Lloyds Insurance and, indeed, he was also parachuted in as chief executive of NatWest when there was a hostile takeover. He earned his spurs there and he came out with credibility in the City." The coming week will be a crucial one for Northern Rock. On Tuesday, shareholders will attempt to restrict the ability of the company's board to sell assets without seeking their permission. Robin Ashby, of the Northern Rock Small Shareholders' Group, said he would not welcome nationalisation. "I do hope that we can get a shareholder-led solution and that the extraordinary general meeting on Tuesday will be a step in that process. "There is an executive management ready to come into the company... and I do not see nationalisation as either a sensible solution or indeed one that needs to be done." The shareholders' action is regarded by the Treasury as potentially hostile to the interests of taxpayers. If that proposal to raise new finance for the Rock flops, it is likely to undermine attempts to organise a commercial rescue of the Rock by either a consortium led by Virgin or by the Olivant Group. Chancellor Alistair Darling says his priority is to secure repayment of taxpayers' money. On Thursday at the Treasury Select Committee, the chancellor made it clear that nationalisation remains a very live option.